When it comes to firearms training, nobody beats tactical consultant Louis Awerbuck, author of the highly acclaimed “Training and Tactics” column in S.W.A.T. Magazine. In this follow-up to his hugely successful 1999 compilation Tactical Reality, Awerbuck gives readers more food for thought on how to stay alive in today’s increasingly dangerous world. 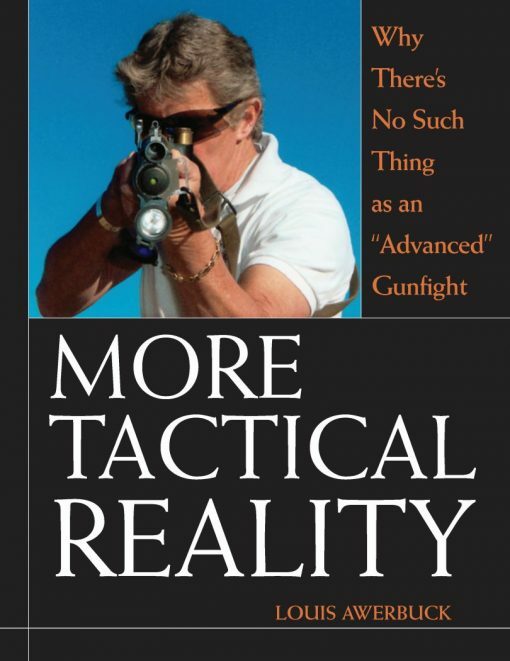 More Tactical Reality is a book about how to get the job done when the “job” involves firearms. It includes a decade’s worth of thought-provoking columns dealing with both the mental and physical aspects of self-preservation. Its goal is to make you think about your training, your tactics, your equipment and your shooting philosophy so that when the bullets start flying for real, you can perform. With characteristic wit and wisdom, Awerbuck discusses more than 40 timely topics, including why there is no such thing as an “advanced” gunfight, what makes a shooter “battle smart,” the mechanics of shooting one-handed, when to shoot center of mass and when to go for the head shot, the fine art of balancing speed and accuracy, how to use shot placement to diagnose and fix shooting problems, whether the carbine is the right weapon for you, overpenetration, manhunting tactics and pitfalls, and much more. In firearms training, practice does not necessarily make perfect. In fact, if your training is not realistic, it can do you more harm than good in a real gunfight. Make your training more realistic with Louis Awerbuck.